Kidney patients looking for an energy boost may wonder if including energy drinks in their kidney diet is acceptable. Read on to learn important considerations. An energy drink is a beverage containing an ingredient which provides a stimulant, such as caffeine. Most often, this stimulant is marketed as providing a boost of energy. While an 8 ounce cup of tea or soda contains 24 to 48 mg caffeine, an energy drink might contain as much as 200 mg of caffeine per serving 1. While the most common stimulant is caffeine, other sources of energy such as vitamins, minerals or naturally occurring energy additives are also added to some drinks. In addition, it might contain servings of fruits and vegetables from fruit or vegetable juice. Supplementation such as vitamins A, E or C may also be included. The caffeine or energy-boosting ingredient is the major draw for energy drinks. These drinks provide more caffeine than coffee, tea or soda1. While there’s no specific evidence that a person with chronic kidney disease (CKD) cannot have caffeine, the amount of caffeine in energy drinks should be considered1. Increased heart rate, dizziness, nervousness and sleeplessness have been reported after consuming this type of drink1. Some energy drinks market that they contain added servings of fruits and vegetables. Most often, this is provided via fruit or vegetable juice. The addition of fruit or vegetable juice might cause an increase in potassium which could be harmful to the person with CKD who needs a low potassium diet. In a review of energy drinks, such as the V8®+Energy drink, potassium content was elevated in the drinks containing juice1. Potassium content in these drinks ranged from 20 mg to as high as 580 mg per serving. Some persons with kidney disease are on a daily fluid limit. This fluid limit is prescribed by the nephrologist. With energy drinks, fluid content should also be noted. When the drink is consumed, the amount of fluid provided should be counted in the daily fluid limit. Energy drinks range in sizes. Some “shots” provide only 2 fluid ounces. However, most canned drinks contain 16-24 ounces of fluid. While energy drinks might contain added vitamins and minerals and might be seemingly healthy, the person with CKD should proceed with caution. A careful review of these drinks with the medical doctor or dietitian is important before consuming. Added caffeine and vitamins might provide a boost of energy, but the drinks should be reviewed for added potassium, phosphorus and fluid content. Your renal dietitian can provide more information on specific products and your individual diet. Energy drinks do not replace the body’s need for fuel from food. 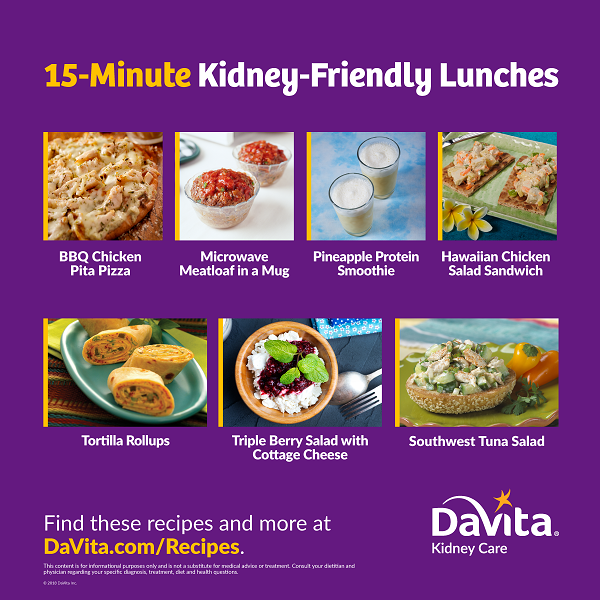 Try one of these 15 minute lunch recipes from DaVita.com for a true energy boost. 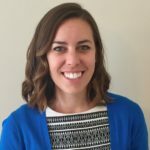 Haley Justus is a registered dietitian who resides in the mountains of western North Carolina. She has been a dietitian for 3 years and enjoys helping her dialysis patients make small changes to enjoy life-long benefits of health. In her free time, Haley enjoys hiking the Blue Ridge Mountains with her husband and two dogs. I am on dialysis and I have a huge problem with high potassium. I am overwhelmed with choosing my meals and am scared to eat anything anymore. Diet is only one part of potassium control. Speak to your doctor and dietitian about evaluating the causes of your high potassium levels. Try using DaVita Diet Helper to plan and track your meals so you will know how much potassium you are eating each day. Is energy drinks bad for a patient on dialysis wired X 344 caffeine Massacre caffeine mass and energy drink? It depends on what’s in the drink. Some have added potassium and phosphates. Some have extra vitamins that may not be recommended for dialysis patients. It’s best to ask your dietitian to evaluate the products you mentioned.